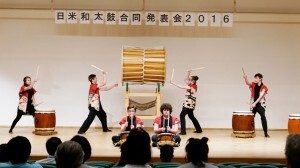 In August 2016, ten Pittsburgh students traveled to Mihama, Aichi Prefecture to participate in year 2 of this taiko-based TOMODACHI NAJAS Grassroots Exchange Program. Since welcoming 12 students from Nihon Fukushi University Affiliated High School last summer, the Pittsburgh students have been practicing to learn a new culture and musical form. Their repertoire includes several pieces from Japanese-American composers, demonstrating the depth of exchange when art crosses borders. TOMODACHI NAJAS Grassroots Program-TOMODACHI Ties Through Taiko brought twelve students from Nihon Fukushi Daigaku High School in Mihama, Aichi prefecture, Japan to Pittsburgh from August 8-17, 2015. These twelve students were members of their school’s award-winning Taiko program. 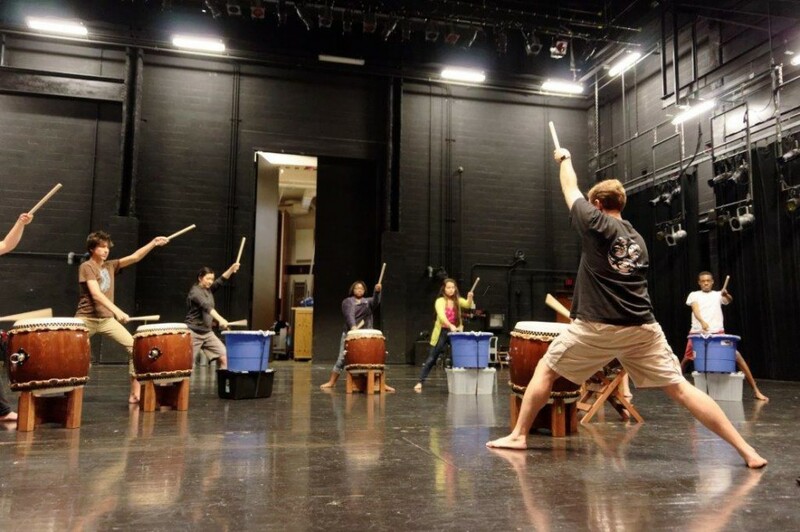 Seven Pittsburgh students, who were part of a community Taiko drumming group, also had the opportunity to learn Taiko drumming and work closely with the Japanese students. All the students worked together to perform a joint concert at the end of the exchange week. During their time in Pittsburgh, the students visited city government, local arts organizations and museums, and a Japanese business to build their intercultural communication skills and understanding of the Pittsburgh arts community. Students learned about the role that arts organizations played in Pittsburgh’s renaissance and how they can continue their interest in the arts in their career, in their community, and across international borders.